Ahead of their FA Cup clash with Chester, James Nalton introduces those behind City of Liverpool FC to discover more about Liverpool’s ambitious neighbours. “It’s been tumultuous we’ve had an awful lot of change,” says City of Liverpool chairman Paul Manning on local radio. In some ways it is all change for City of Liverpool this season, as Manning states, but the underlying message, the ambition and the sense of community at the fan-owned club remains the same. 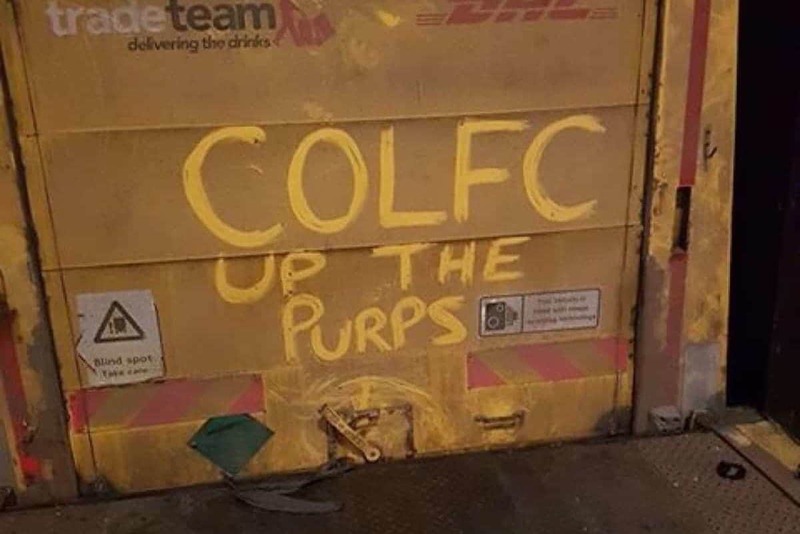 The Purps recently landed a tasty FA Cup draw against Chester FC which has seen their name printed in a few more local newspapers, and on a few more football websites and forums, than it might normally. It’s difficult to believe that the club are only in their third season of existence given the way they have rooted themselves in the local community, and great strides are being made on and off the pitch. The club are still planning to move to their own stadium in the not-too-distant future, but while the necessary preliminary work and planning takes place the club will extend their stay at the home of Bootle FC until the end of the 2020/21 season. 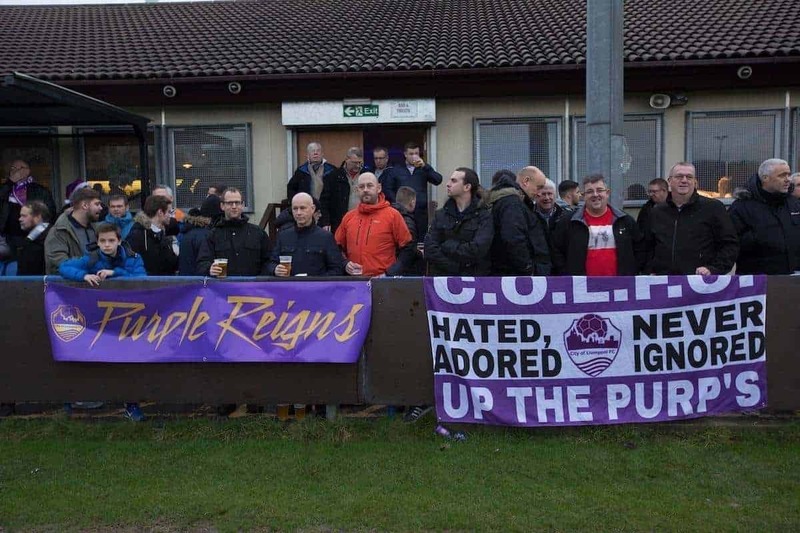 Estadio Bootelio, officially known as the TDP Solicitors Stadium, comes alive at Purps home games, with flags, banners and purple shirts dotted around the ground to make it feel like their home rather than just a ground-share. They are developing a reputation in the non-league scene among fans, players and staff for being one of the most atmospheric venues in the lower divisions, but they don’t want to hang around at this level for too long. A recent interview on local Liverpool station Radio City Talk saw chairman Paul Manning, new manager Craig Robinson and returning forward Jamie McDonald outline their plans for the new season. They are an ambitious bunch, and had some interesting things to say about footballers from the Liverpool area. “This city, other than London, exports the most footballers and football people per capita, all over this country and Europe,” said Manning. “It was one of the main reasons when we started investigating whether to form the club. Not just players but managers and coaches. The club appointed Robinson this summer to replace the outgoing Simon Burton. Burton left by mutual consent after guiding the club through its first two seasons, winning three trophies, gaining promotion via the playoffs in his first season, and winning First Division Manager of the Year in the same 2016/17 campaign. The new manager agrees that there is plenty of potential to attract the region’s top players, and they will want to sign for the club regardless of offers from elsewhere, even from teams in the leagues above. “There is no rule on [players being from Liverpool] but that’s something I want to create. I want to create an environment for the players that have had opportunities to go elsewhere, but I want them to come and play for this club,” said Robinson. “We’ve got a great atmosphere. Players are actually approaching me and saying they’re interested. These are players who have played higher, and could play higher. “For me as a manager, my job is already done as I haven’t got to persuade them to come and play for the club. They’ve heard big things about the club already and with the fan base and what they are it is unique. 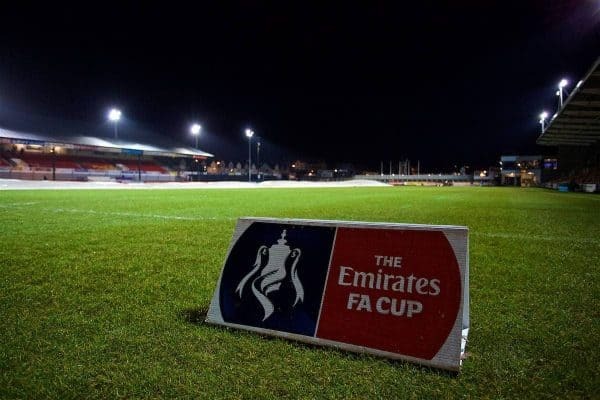 City of Liverpool have the opportunity to make waves early in the 2018/19 season, when they face National League North (formerly the Conference North) side Chester FC in the FA Cup second qualifying round. 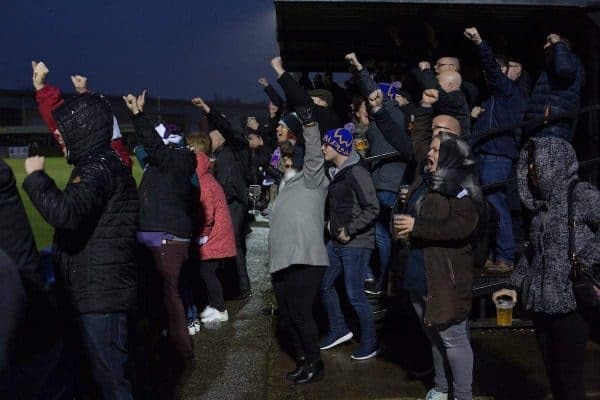 The Purps have already tasted victory over Silsden, Glossop North End and Squires Gate in the preliminary rounds, but are still three rounds away from the first round proper. Opponents Chester were as high as level five on the pyramid in recent years having reformed following the demise of Chester City in 2010, but they were relegated from the National League last season. The lower leagues of English football are awash with ambitious clubs, and these games against recognised names who aren’t too much higher in the pyramid can generate excitement and determination for the clubs lower down, and give them hope that they can reach these levels in the near future. Robinson has tasted this success first-hand during his time playing for Warrington Town. He scored the goal in the FA Cup first-round victory against League Two side Exeter City, which saw them reach the second round for the first and only time in their history. They lost the next game against Gateshead 2-0, but the goal which got them there was a historic moment. McDonald also arrives at the club from Warrington, and despite being considered a player who should be operating at a side higher up the league ladder, maybe even in the Football League, he is delighted with his move back to Liverpool. “I wanted to be a part of something special at City of Liverpool,” he told the Non-League Blogger. “We’ve strengthened a lot since I first left, and I have no doubt that the club is on the up now. “You only have to attend a home game to understand why lads want to play here! With the fan base we’ve got and the atmosphere, you’ll struggle to find anywhere else at this level that has such a buzz on a matchday. “We have got some top players who could easily play at a higher level, but like myself, have bought into the club’s ambition and dream. There’s a common theme of community, involvement and ambition at this club, and they will be worth keeping an eye on during the coming seasons. For anyone wanting to go down to a game, the ground is a short walk from the Aintree Merseyrail station, and the entrance fee is just £6 for adults, £3 for concessions and just £1 for 16-18 year olds. Under-16s who arrive with a paying adult get in for free. Keep an eye on the club’s website for fixture updates and news, especially with the FA Cup game coming up. Who wouldn’t want to go and watch a club like that? For more history on the club you can read our previous City of Liverpool articles here.